For other uses, see Tonkawa (disambiguation). The Tonkawa are a Native American tribe indigenous to present-day Texas. They once spoke the now-extinct Tonkawa language, a language isolate. Today, many descendants are enrolled in the federally recognized Tonkawa Tribe of Indians of Oklahoma. In the 16th century, the Tonkawa tribe probably had around 1,879 members with their numbers diminishing to around 1,600 by the late 17th century due to fatalities from new infectious diseases and conflict with other tribes, most notably the Apache. By 1921, only 34 tribal members remained. Their numbers have since recovered to close to 700 in the early 21st century. Most live in Oklahoma. The Tonkawa’s autonym is Tickanwa•tic (meaning “real people”). The name Tonkawa is derived from the Waco tribal word, Tonkaweya, meaning “they all stay together”. The Tonkawa tribe operates a number of businesses which have an annual economic impact of over $10,860,657 (as of 2011). Along with several smoke shops, the tribe runs 3 different casinos: Tonkawa Indian Casino and Tonkawa Gasino located in Tonkawa, Oklahoma, and the Native Lights Casino in Newkirk, Oklahoma. The annual Tonkawa Powwow is held on the last weekend in June to commemorate the end of the tribe’s own Trail of Tears when the tribe was forcefully removed and relocated from its traditional lands to present-day Oklahoma. Scholars once thought the Tonkawa originated in Central Texas. Recent research, however, has shown that the tribe inhabited northwestern Oklahoma in 1601. By 1700, the stronger and more aggressive Apache had pushed the Tonkawa south to the Red River which forms the border between current-day Oklahoma and Texas. In the 1740s, some Tonkawa were involved with the Yojuanes and others as settlers in the San Gabriel Missions of Texas along the San Gabriel River. In 1758, the Tonkawa along with allied Bidais, Caddos, Wichitas, Comanches, and Yojuanes went to attack the Lipan Apache in the vicinity of Mission Santa Cruz de San Sabá, which they destroyed. 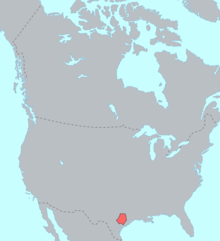 The tribe continued their southern migration into Texas and northern Mexico, where they allied with the Lipan Apache. In 1824, the Tonkawa entered into a treaty with Stephen F. Austin to protect Anglo-American immigrants against the Comanche. At the time, Austin was an agent recruiting immigrants to settle in the Mexican state of Coahuila y Texas. In 1840 at the Battle of Plum Creek and again in 1858 at the Battle of Little Robe Creek, the Tonkawa fought alongside the Texas Rangers against the Comanche. The Tonkawas often visited the capital city of Austin during the days of the Republic of Texas and during early statehood. In 1859, the United States escorted the Tonkawa and a number of other Texas Indian tribes to a new home at the Wichita Agency in Indian Territory, and placed them under the protection of nearby Fort Cobb. When the American Civil War started, the troops at the fort received orders to march to Fort Leavenworth, Kansas, leaving the Indians at the Wichita Agency unprotected. On October 21, 1891, the tribe signed an agreement with the Cherokee Commission to accept individual allotments of land. The Tonkawa Tribe of Oklahoma incorporated in 1938. ^ a b c 2011 Oklahoma Indian Nations Pocket Pictorial Directory. Archived 2012-04-24 at the Wayback Machine Oklahoma Indian Affairs Commission. 2011: 36. Retrieved 8 Feb 2012. ^ Hoijer, Harry (1933). Tonkawa, an Indian language of Texas. University of Pittsburgh Library System. New York : Columbia University Press. ^ Walker, Jeff (2007-11-16). “Chief returns » Local News » San Marcos Record, San Marcos, TX”. Sanmarcosrecord.com. Archived from the original on 2011-09-27. Retrieved 2011-11-11. ^ Gwynne, S. C. (2011). Empire of the Summer Moon: Quanah Parker and the Rise and Fall of the Comanches, the Most Powerful Indian Tribe in American History. Scribner. pp. 7, 211. ISBN 1-4165-9106-0. ^ Jones, William K. 1969. “Notes on the History and Material Culture of the Tonkawa Indians.” Smithsonian Contributions to Anthropology. Vol. 2, No. 5. ^ a b “Tonkawa Tribe of Indians of Oklahoma.” Oklahoma State Department of Education. Oklahoma Indian Tribe Education Guide. July 2014. Accessed October 28, 2018. ^ Deloria Jr., Vine J; DeMaille, Raymond J (1999). Documents of American Indian Diplomacy Treaties, Agreements, and Conventions, 1775-1979. University of Oklahoma Press. pp. 346–348. ISBN 978-0-8061-3118-4. Himmel, Kelly F. (1999). The conquest of the Karankawas and the Tonkawas, 1821-1859. College Station, Texas: Texas A&M University Press. ISBN 978-0-89096-867-3.